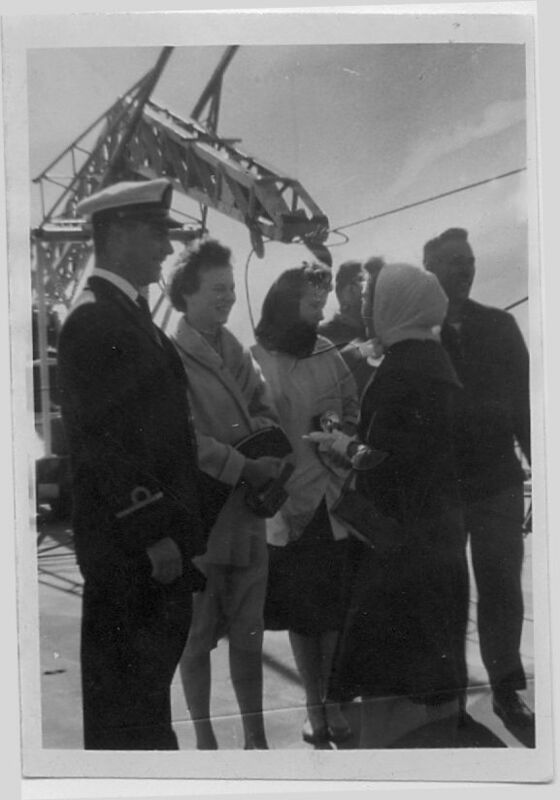 Personnel inspection, 17 November 1956. Taken during Sara's shakedown cruise. CVG-4 was aboard. 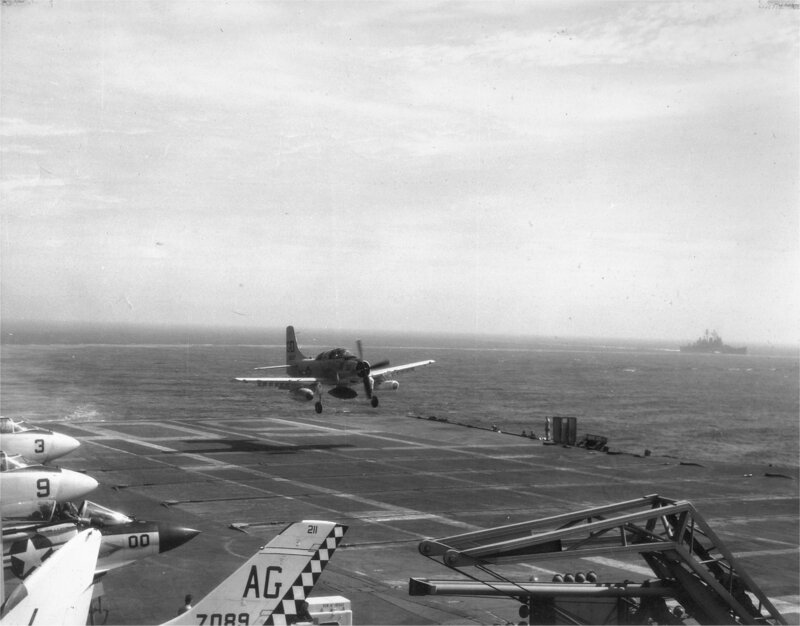 AD-6 Skyraider, VA-75 "Sunday Punchers," CVG-7, launching from the "canted" deck, 1957. CVG-7's tail code was changed from "L" to "AG" in November 1956, but the change had not been applied when this photo was taken. 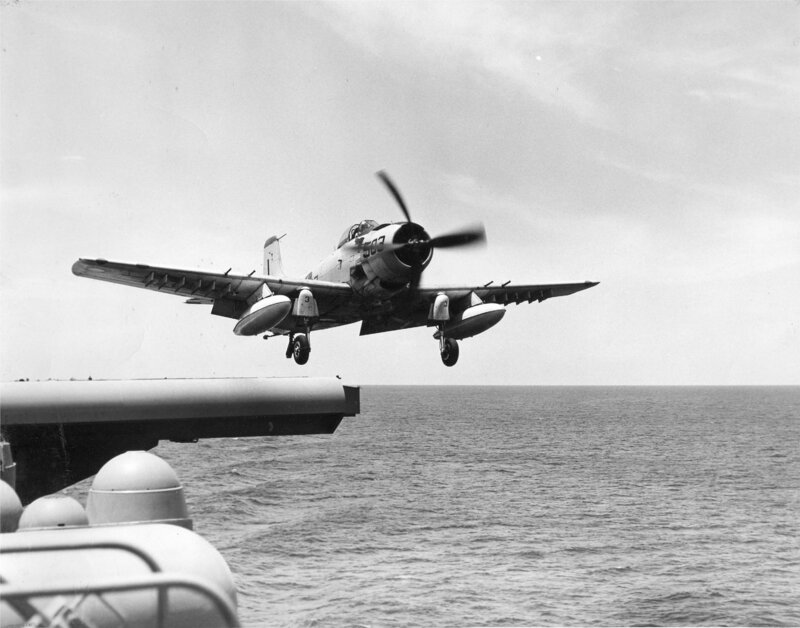 AD-5N Skyraider, VA(AW)-33 Det. 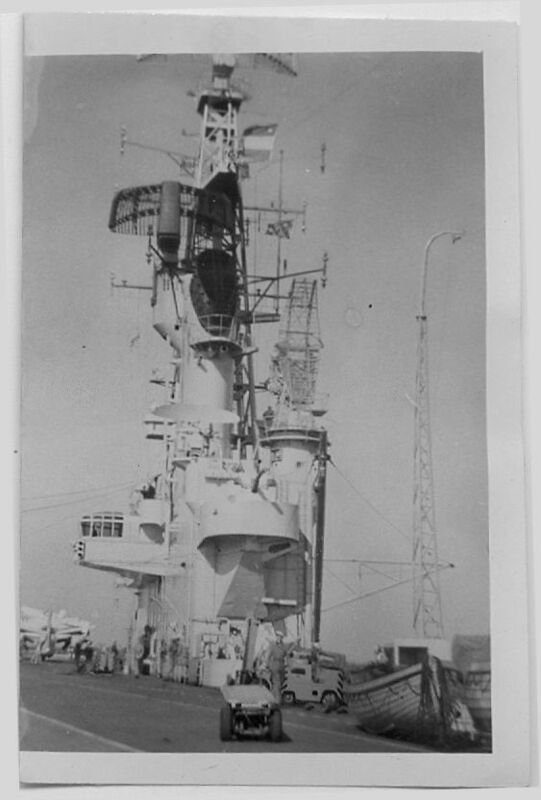 43 "Night Hawks," recovering aboard, probably in 1957. A3D-2 Skywarriors and F3H-2M Demons are parked on the flight deck. Flight quarters, 1957. 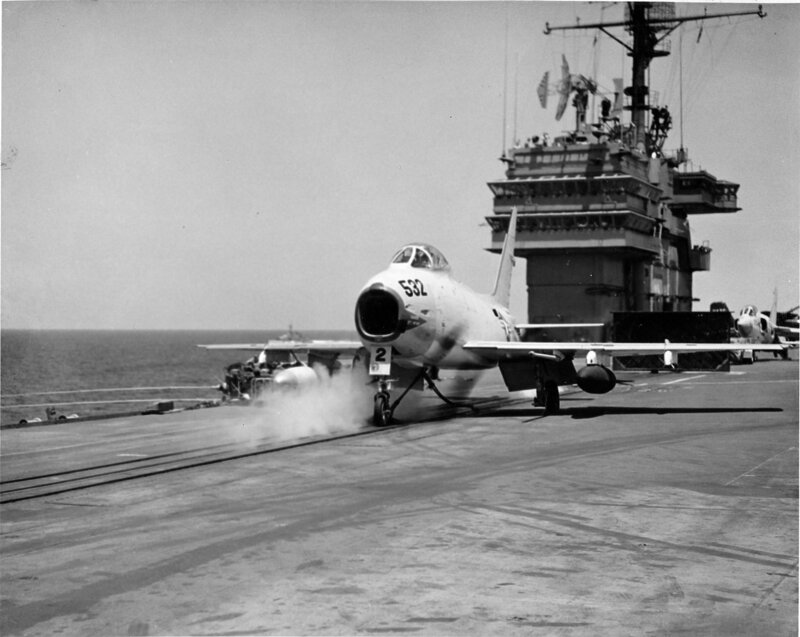 AJ-2 Savage, VAH-5 "Savage Sons," launching. 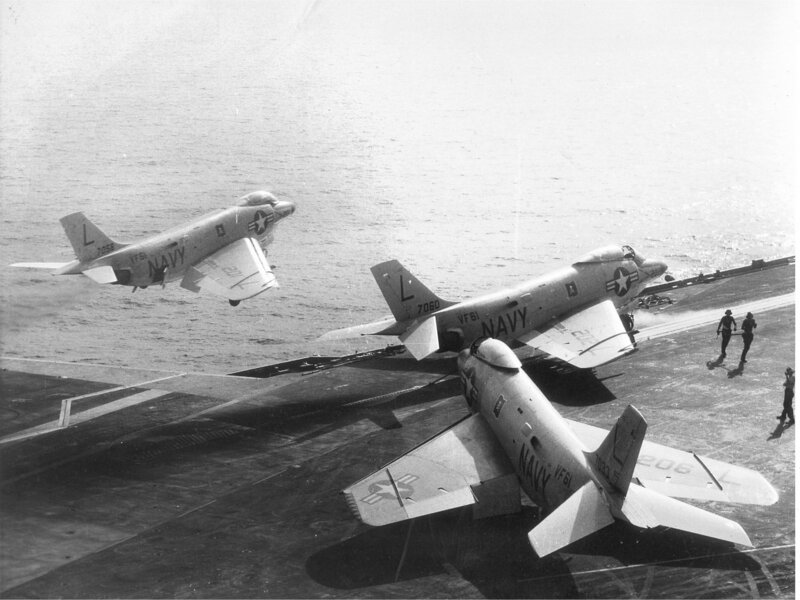 A4D-1 Skyhawks on the flight deck. Flight operations, 1957. 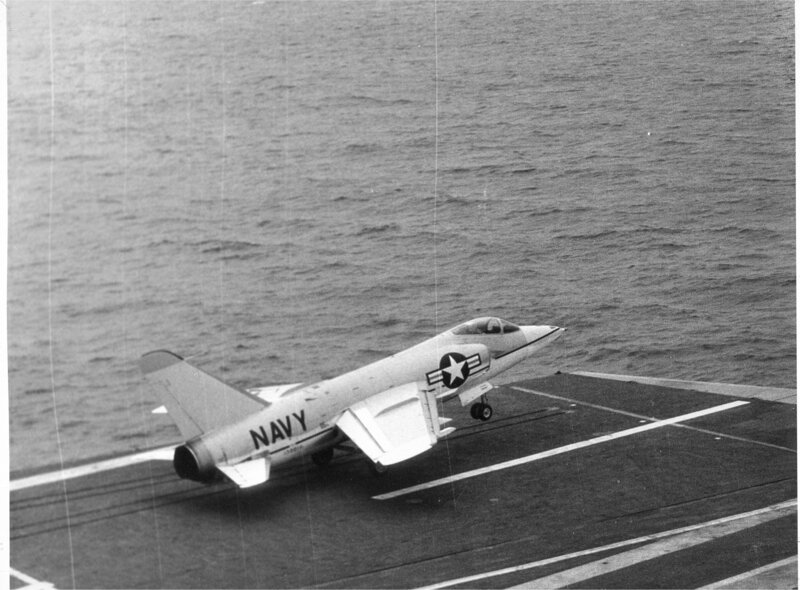 An FJ-4B Fury (appears to be BuNo 139532) about to launch from USS Saratoga (CVA-60). 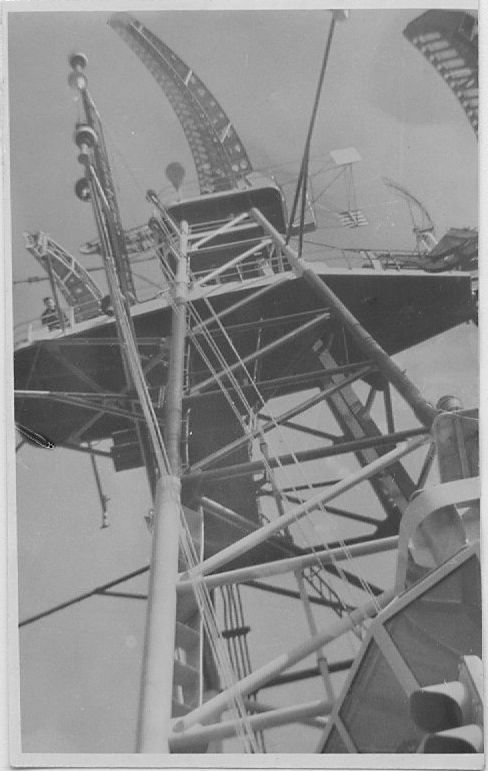 HUP-2 Retriever recovering aboard Sara (1957?). A3D-2 Skywarriors and an F3H-2M Demon are parked on the flight deck. Flight quarters, 1957. 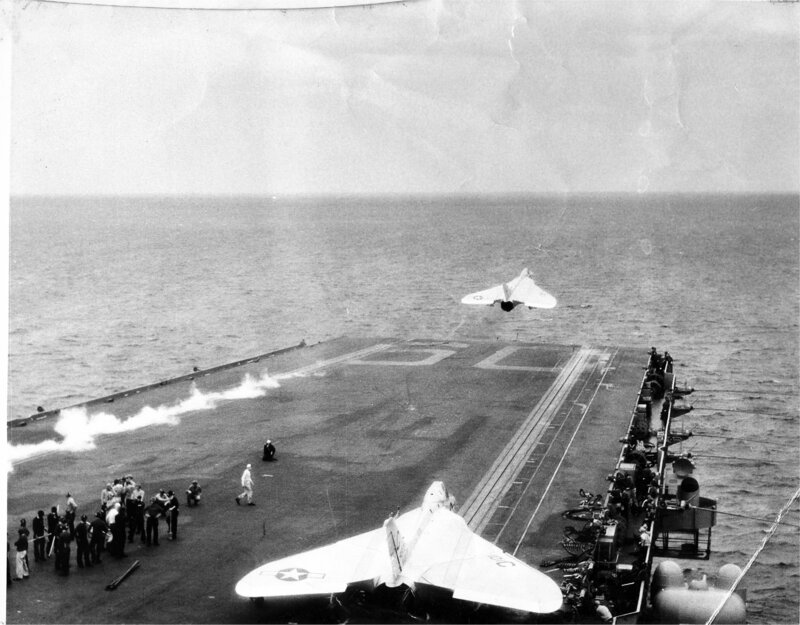 Launching F4D-1 Skyrays. 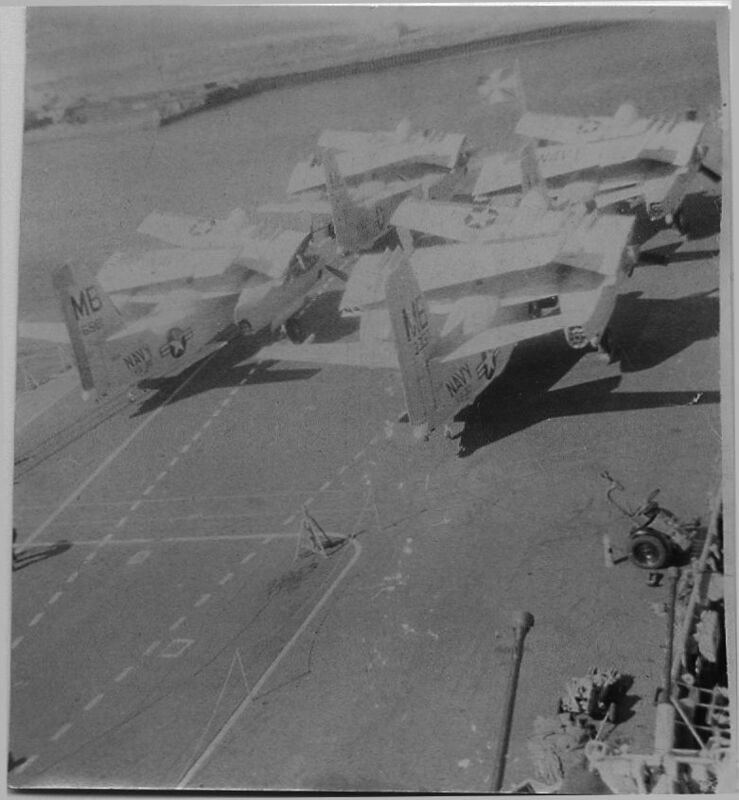 Probably taken in April 1957, when VF-74 "Be-Devilers" conducted carrier qualifications aboard Sara. 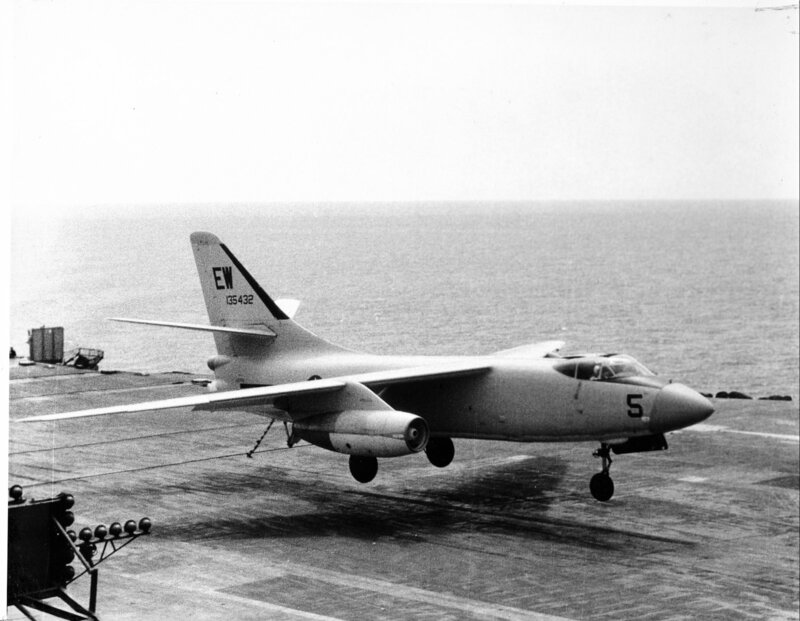 A3D-1 Skywarrior recovering aboard Saratoga, 1957. 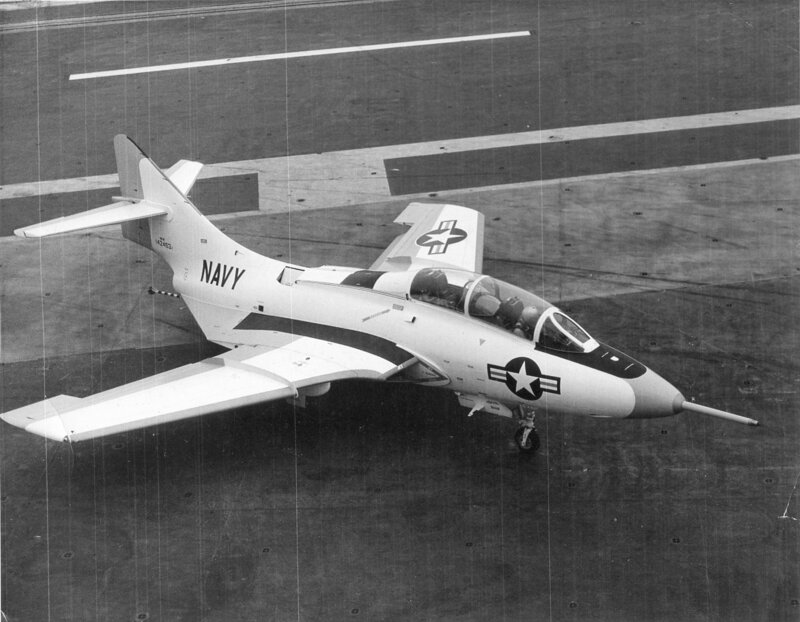 This aircraft (BuNo 135441) was assigned to VAH-3 "Sea Dragons," CVG-17, aboard USS Franklin D. Roosevelt (CVA-42) and was lost in an accident in July 1957. 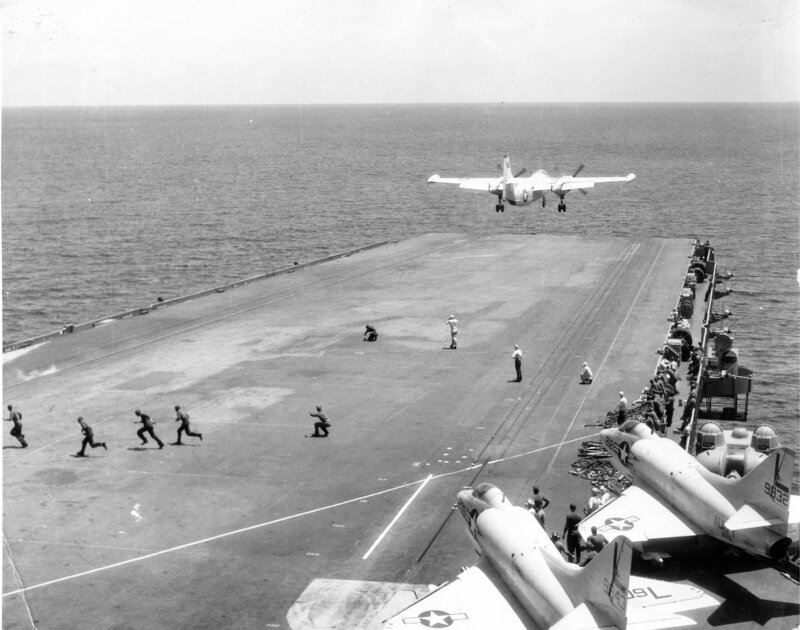 F3H-2M Demons from VF-61 "Jolly Rogers," CVG-7, launching from Sara, 1957. CVG-7's tail code was changed from "L" to "AG" in November 1956, but the change had not been applied when this photo was taken. 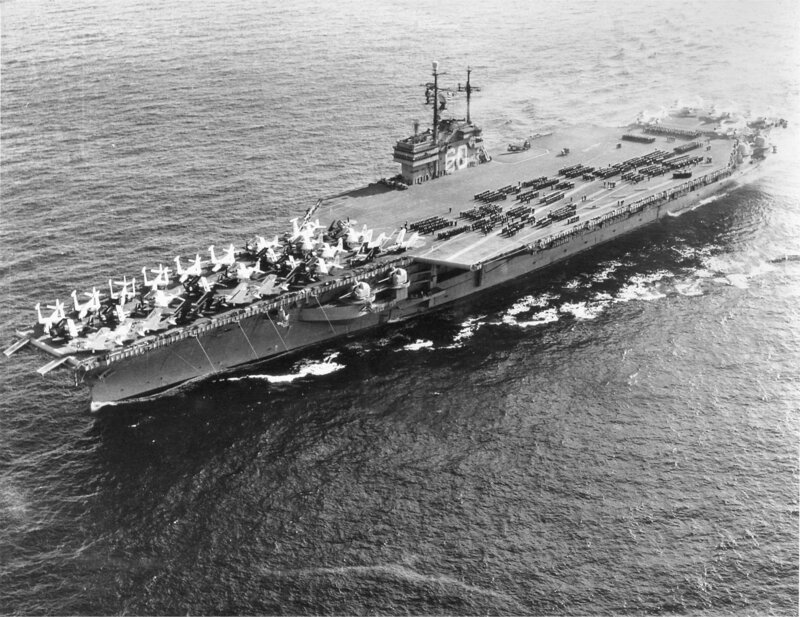 USS Saratoga (CVA-60) with Carrier Air Group (CVG) 7, 1957. 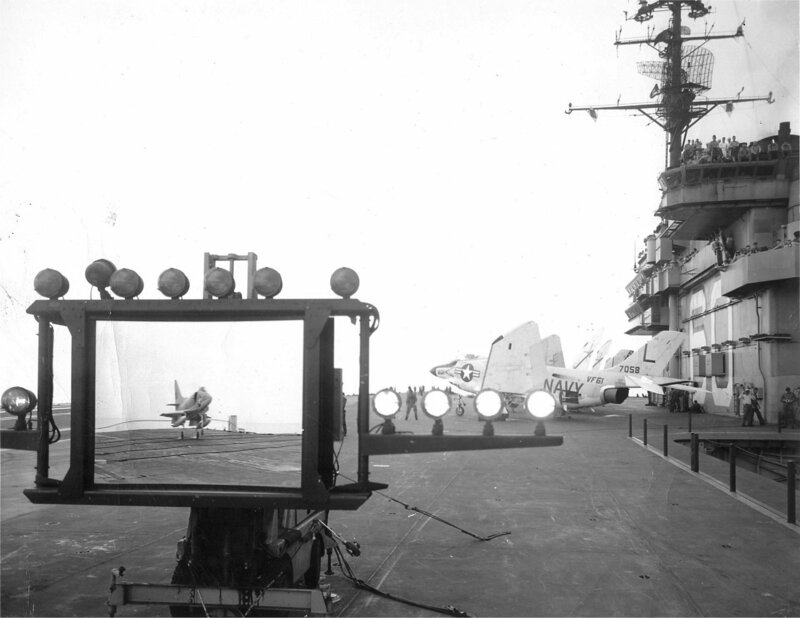 A4D-1 Skyhawk, possibly from VA-72 "Hawks," caught in landing mirror aboard Sara. 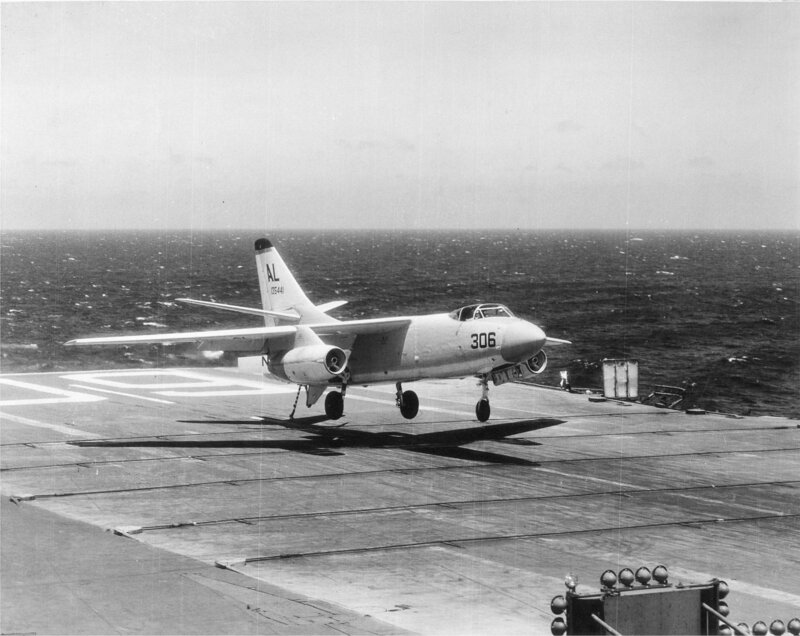 A3D-1 Skywarrior, VAH-3 "Sea Dragons," recovering aboard Saratoga, 17 July 1957. 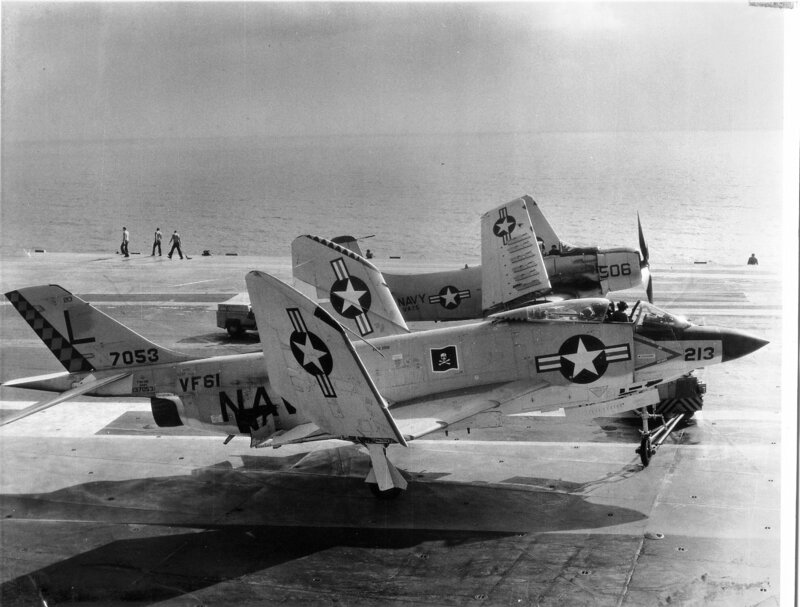 F3H-2M Demon, VF-61 "Jolly Rogers," and AD-6 Skyraider, VA-75 "Sunday Punchers," being spotted on the flight deck of Saratoga, 17 July 1957. 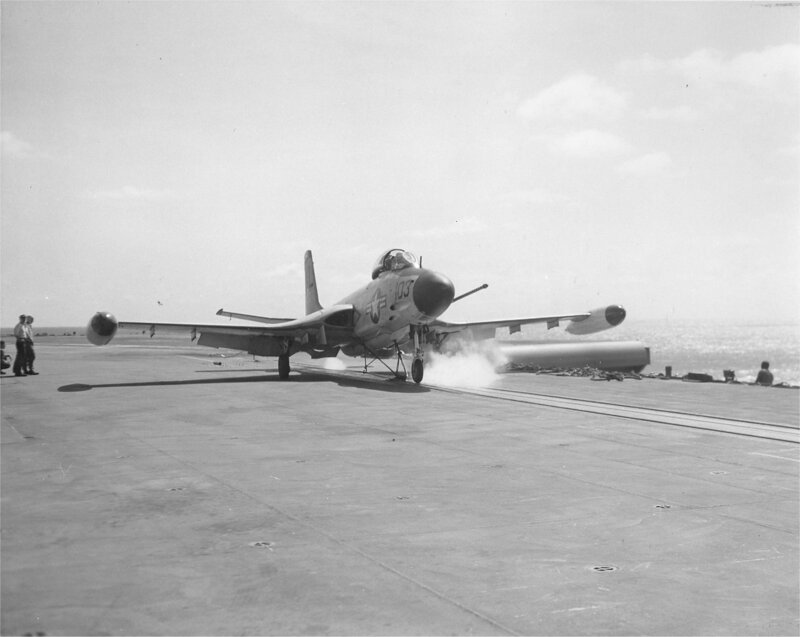 F11F Tiger leaving the canted deck of USS Saratoga (CVA-60), 17 July 1957. 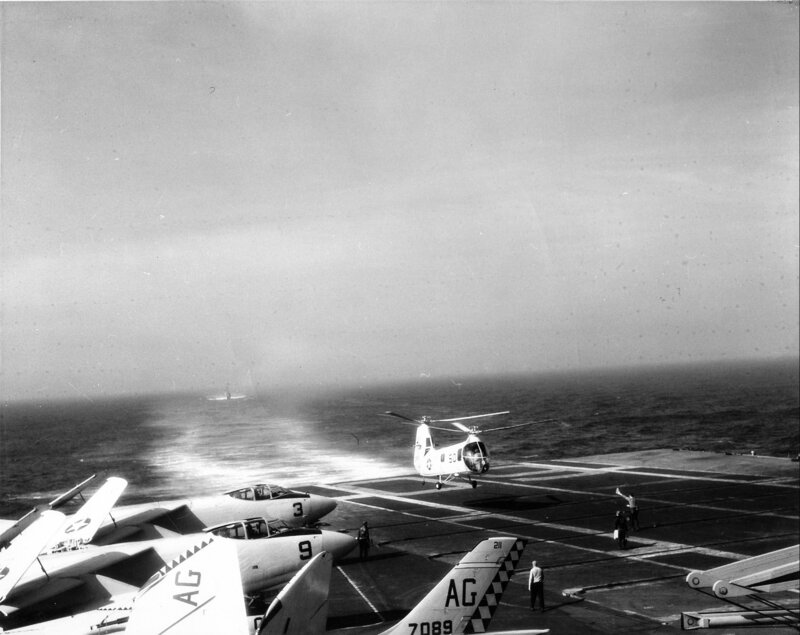 F9F-8T Cougar (BuNo 142463) as it taxis on Sara's flight deck, 17 July 1957. 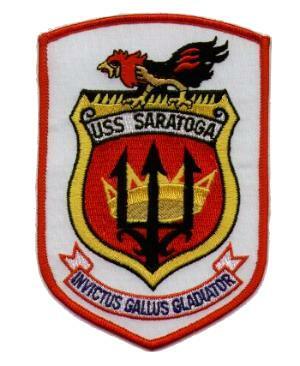 The following photos are not related to Saratoga, but are in the collection of Harold Hanna. 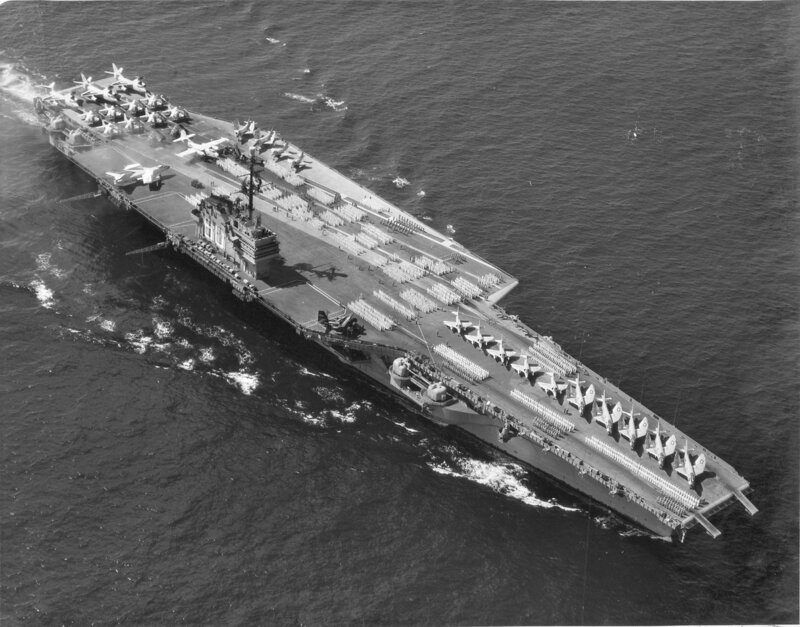 In February 1959 a number of Grumman S2F Trackers from Antisubmarine Squadron (VS) 30 "Sea Tigers" conducted suitability tests aboard the Dutch aircraft carrier Hr. Ms. Karel Doorman (R81), prior to the acquisition of Trackers by the Royal Netherlands Navy. These pictures may have been taken in Mayport, Florida.